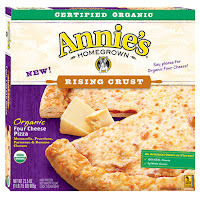 Annie's is a well-known organic food brand in our house! My son LOVES their Mac & Cheese and I love their snacks! They have always made tasty but ORGANIC products and that has always drawn me to their products! 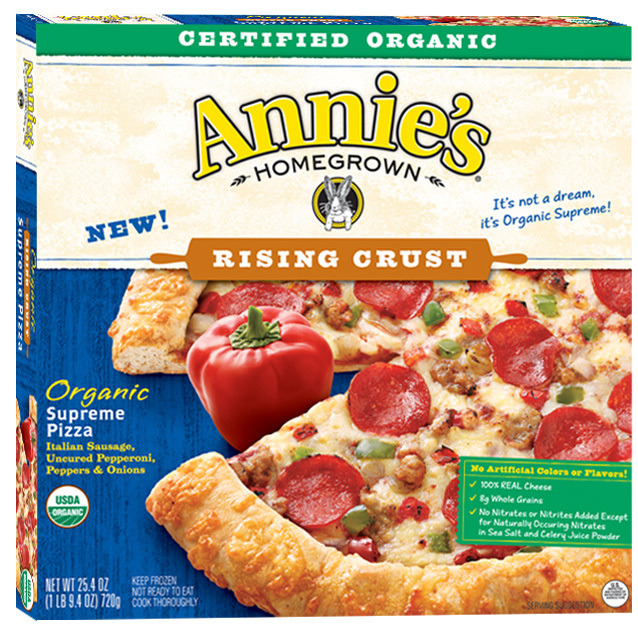 I still can't get over their new Organic Rising Crust Frozen Pizza that they recently started selling in stores! I just love that they have such a delicious selection to choose from made with all our favorite toppings - pepperoni, sausage, veggie, etc. But they are all ORGANIC ingredients, even the meat! That is so great!! These pizzas feature hearty rising crusts, exceptional ingredients and crafted like you would at home – whole grains, real cheeses, and organic meats & vegetables. Enjoy the goodness of organic ingredients with the great taste both moms and kids love! For more than 20 years, Annie’s has been nourishing families with simple, down-to-earth foods that taste great and are easy to love. They’ve sought out the best ingredients Mother Earth has to offer, harvesting pure, natural flavors to make delicious foods every family can feel good about. Sometimes, organic pizzas can be really boring but NOT Annie's! Not only do they have great varieties, but the dough rises so it is just like your favorite pizzeria pizza! These pizzas are perfect for a quick meal, especially after I have our baby daughter! I can feel great feeding them to my family because they are healthy and organic but yet I don't have to sweat over making it from scratch with two little ones hanging on me! 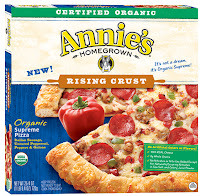 Annie's Organic Pizzas will definitely be our choice for frozen organic pizzas in our house! 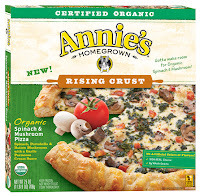 They have the best varieties I have ever seen in organic pizzas, the dough rises, and they are just plain delicious!! I will be recommending these to all my family and friends that care about what they are feeding their families! 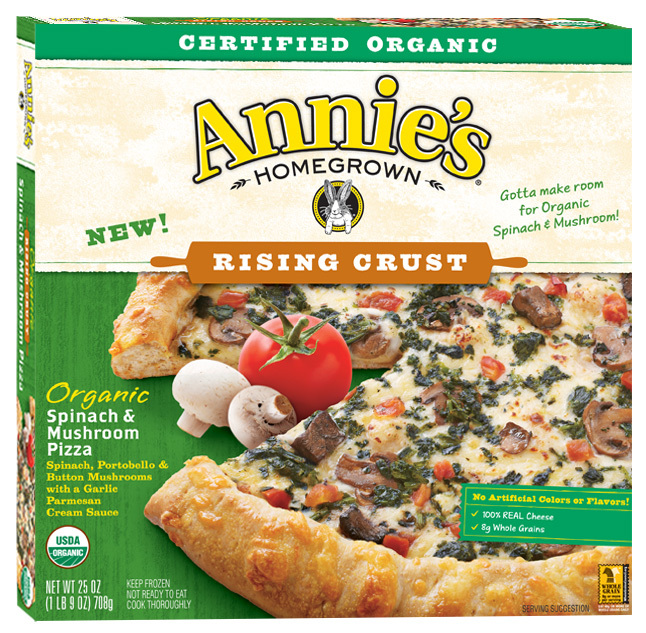 Make sure to check out Annie’s website and Facebook page for more info about these delicious pizzas! Buy It: You can purchase Annie’s Organic Rising Crust Pizza in the freezer aisle at Whole Foods Market (Suggested Retail Price: $9.99 for one 11.5-inch pizza). 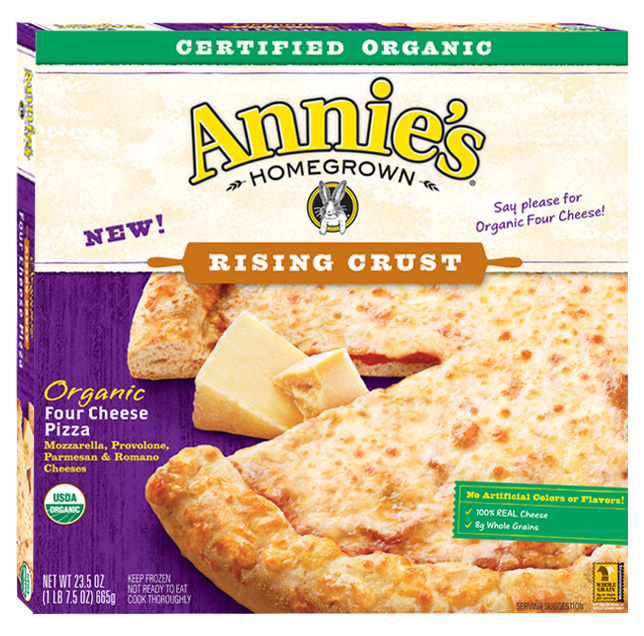 Win It: Annie's is generously offering (1) Vouchers to purchase (1) Annie’s Organic Rising Crust Pizza at a local Whole Foods Market store to THREE lucky winners! I have wanted to try these pizzas. It would be great to get them for free.